So, March was a busy one for businesses. The new Budget was announced on 16 March by George Osborne. There were a few surprises in there but the overall good news was that according to the Office of Budget Responsibility, the economy is set to grow by 2% per year, over the next 4 years. Osborne did say that the United Kingdom is facing ‘turbulent times’, alluding to the EU Referendum. Our friends at Michael Paul Accountants have summarised the key points for us in this handy pdf. It was great to see some health measures in there with the levy on sugary drinks. 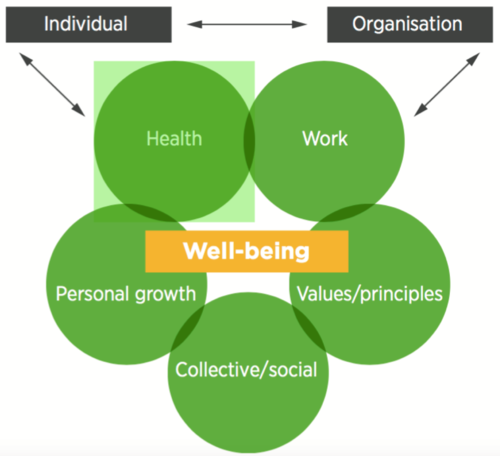 Health and wellbeing in the workplace is something I’m particularly keen to champion. Over the last few years we have been working at Vanilla, with Andrew Harris from the Fit 4 Work team. I first got Andrew on-board because I wanted to make sure that as a business, we are doing everything possible to help keep people physically and mentally heathy and supported. The statistics backing up investing in your workforces’ health is phenomenal; a no brainer. With employee sickness and decreased productivity costing businesses thousands of pounds every year, it is worth a bit of outlay to not only mitigate some of this, but also to help with employee engagement and the attractiveness of your business to prospective future employees. And we are all generally supportive of each other’s out of work mental health boosting activities. That may be singing with Rock Choir, to running marathons. Going to early morning boot camp together, to sharing cooking tips. It all helps to boost wellbeing. You can view the full CIPD report and find out loads more about their ‘agenda’ by clicking here. Which leads me back nicely to my MoonWalk in May. It is organised by Walk the Walk and is a unique event where we get to power walk a marathon (26.2 miles!) through London overnight, fundraising to help save lives by discovering new ways to prevent, diagnose and treat breast cancer. I’ll be joining 15,000 other walkers on the night. Doing a ‘walk’ sounds quite easy which might be why I agreed to take part, but never underestimate walking a long distance! It is going to be the equivalent of walking from our office on Coventry Road (in Market Harborough) to Coventry! Which is why I've been doing a lot of training. This is a personal challenge rather than a work thing, but if you would like to sponsor me or read my story, you can do so here – thank you so much. I am starting off the new financial year with an off site team meeting. I do it every year and go through all aspects of the business with my whole team. We also set our focus, goals and targets for the financial year ahead. It’s also a great time to welcome a new team member – more on that next month!